A belated happy new year to one and all! We hope you had a fun festive period. It’s pretty much taken us this long to recover, so many apologies for being a bit quiet the last few weeks! 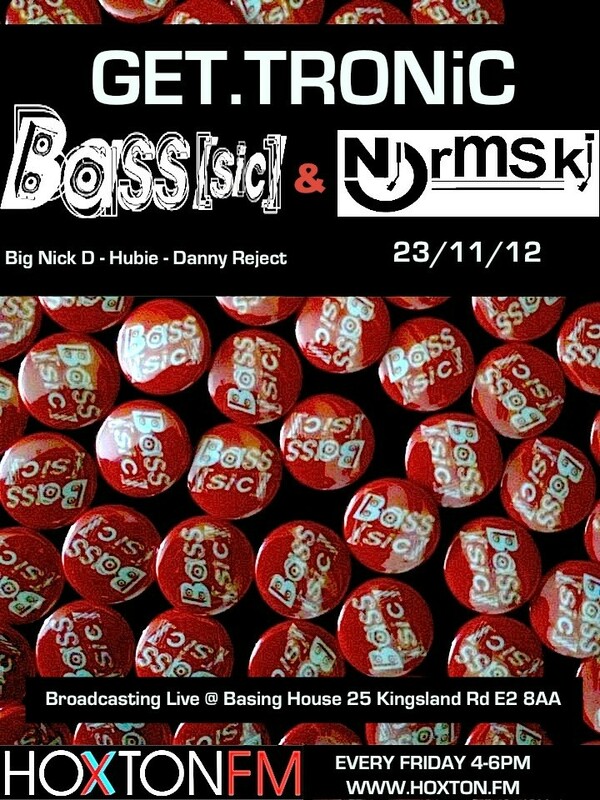 Anyway, some of you may recall that the Bass[sic] resident DJs Big Nick D, Hubie and Danny Reject appeared on the legendary Normski‘s Get.Tronic radio show on Hoxton FM, as part of our 1st Birthday celebrations, back in November. Well, we’re pleased to say that show is now available to stream on Mixcloud – check it out RIGHT HERE! Righto, that’s all for now. We’ve got massive plans for 2013 – Bass[sic] will be going bigger and better than ever before – watch this space and/or follow us on twitter for all the exclusive news and updates.